As I always say during the beginning of my reviews of books by Indian authors, I don’t read a lot of them. Maybe because the first books I was exposed to were such commercialized fiction that they barely had a story but REGARDLESS, I haven’t read much Indian fantasy. Or Indian anything, really. And yet, after reading this book, I feel like I should be re-evaluating my decisions. 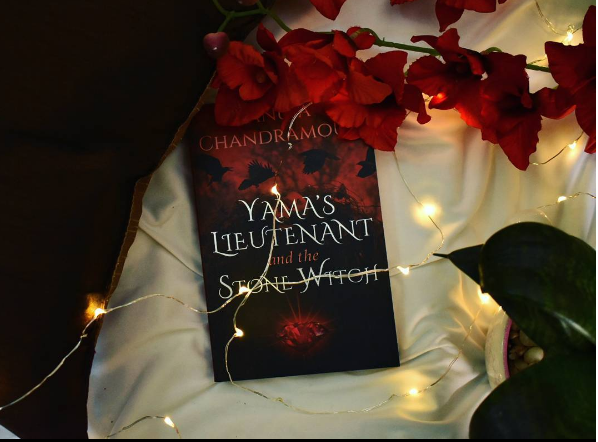 Yama’s Lieutenant and the Stone Witch was this gorgeous modern spin on an Indian myth that was dark, gripping and had this morbid sense of humour that reminded me of Jay Kristoff’s Nevernight and I LOVED IT. 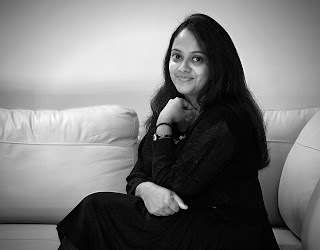 This was my first book by the author, Anuja Chandramouli, and I loved her style of writing and the way she brought a character as jaded and hurting as Agni Prakash to life through it so much that the minute I reached the end and found out that she is a bestselling Indian author, I wasn’t even surprised. Yama’s Lieutenant had some brilliant writing, whether it was being told from the main character’s point of view or also the stories in between that made all the pieces come together. It took me a while to get used to how this book was plotted – one chapter from our main character’s point of view and one from another person that was somehow used to give us more insight into the story. It threw me a little in the beginning, especially because I hadn’t read book one and didn’t know if this was how that was plotted out too. Very soon, I found myself opened to not getting the story from not only Agni Pakash’s viewpoint but also from a lot of others and it really pulled the whole story together. The plot itself was so well thought out but no spoilers so you’ll just have to read it for yourself. I wasn’t expecting to love Agni Prakash as much as I did. He was a rough sweetheart and I understood him immediately. While the whole dark nature of the book and the writing reminded me of Nevernight, Agni himself initially came of a little like The Hound from Game of Thrones, but with a polar opposite relationship to his sibling. He was a deep, complex character to get to know and I loved every minute I was in his head, looking at the visions from his eyes and fighting with him. 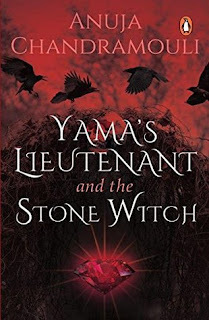 If you’re looking for a richly told book with Indian mythology, dark humour and a main character flawed and yet, perfect, look no further than Yama’s Lieutenant and the Stone Witch. Have you read any books by Anuja Chandramouli? What are some of your favourite books with Indian characters? I can't wait to hear from all you!